It's almost surprising I didn't get around to Doctor Who till week two. But well, the beauty of the show isn't just that he visits other planets, but space stations and other time zones while still on Earth. And moons. But I'm avoiding those. Strictly planets, my followers! I love this show, because it has everything. Humor, tragedy, friendship, love, and a great bunch of ideas that get my creative mind flowing. *ahem* I could gush about this show all day, but to highlight the planet - Gallifrey is the Doctor's homeworld. The sad thing is, he can't go home. Ever. Because he is the last of his kind, the other Time Lords having perished in the last great battle of the Time War when Gallifrey was blown to smithereens, leaving the Doctor utterly alone in the world. And when you have as long a lifespan as he does, that's just rife with angst. Which I'm a sucker for. All but the last Christmas episode. And yes,the Master is around, but well spoi~lers. Definitely watch the Christmas special. I wasn't sure about Capaldi (great actor, poor script) but that episode restored my confidence for the next series. I have Doctor Who coming up later in the challenge too :), but I'm using original Who. Not that new Who isn't great - I'm especially fond of 10, but Tom Baker will always be my doctor since I grew up with him. Yeah, only saw New Who. And as much as I love the series, I don't know if I'll watch the originals. There's lots of refreshing things here. The Doctor is a huge supporter of human kind, he doesn't believe in violence (most of the time), and always sees the wonder in things. So many good quotes come from the show. I'm not a huge Capaldi fan, and that might be because of the writing. I felt like Clara overshadowed the Doctor a lot, had the better stories and drew me in more, which felt weird cuz she's not my fav at all. "I could gush about this show all day"
Oh please by all means do! promise won't interrupt except to agree :D I HEART Doctor Who, best show ever. I did bring the Doctor in D-day in A2Z and maybe I'll do it again, I find the whole idea of him being the last of his kind and the loneliness that comes with his long life amazing, refreshing and all in all genius. My Doctor is 11 but I pretty much love them all, as for the originals I only saw some part episodes of 5 on YouTube and I liked him so very much. My entire family likes Dr. Who. I'm partial to Tom Baker and Jon Pertwee. LOVE Doctor Who! And I ship Rose and Ten too, not many people do so I'm glad I'm not alone. 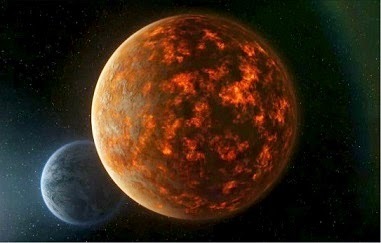 Ah but is Gallifrey truly lost...??? I'm sure it'll be a good few seasons before they mention and/or find it again.